The Cole and Son Archive Anthology wallpaper collection celebrates some of the brand’s most popular designs by giving them a revamp of colour for a new and innovative design. 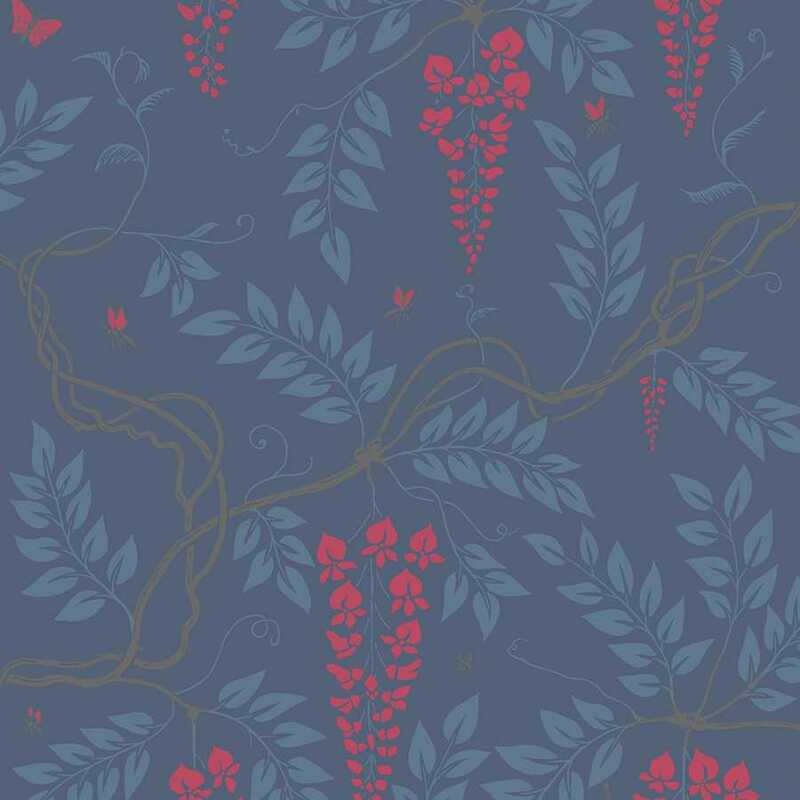 As well as reintroducing favourites the brand have also incorporated old classic Cole and Son designs found in their archive. 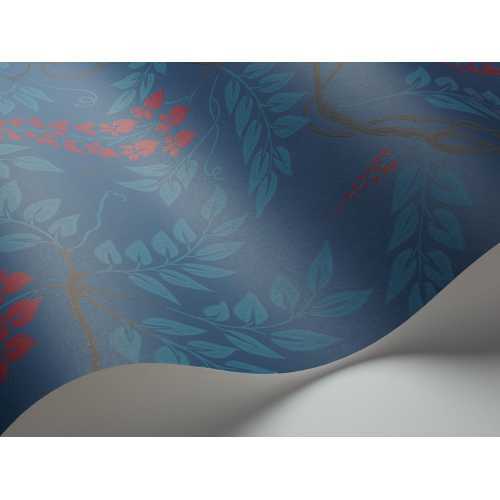 The Egerton 100/9042 is a navy colourway that features a block navy background with a dark brown intertwining vine, blue leaf details and rich fuchsia pink flowers to add a touch of warmth and colour to this blue design. This two-dimensional printed design measures at 52cm width by 10 meters length and has a repeat of 61cm per roll. The ever-popular Egerton wallpaper has been reintroduced to include brand new colourings of this graceful wisteria tree on a china clay ground. 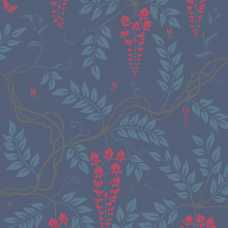 The five colourways in this floral print consist of chalky whites and creams, alongside lavender and scarlet blossoms sit on grounds of powdery blue, duck egg, subtle neutrals and a striking midnight blue.